Today's pattern is the Arabella Two hat which you can find in Woman on the Water, an Etsy shop. The listing suggests worsted weight yarn & US9 needles so it should be a pretty quick knit. I particularly like the cabled brim. I also think the pattern could be quite versatile. Knit with wool, it would be a nice, warm winter hat. 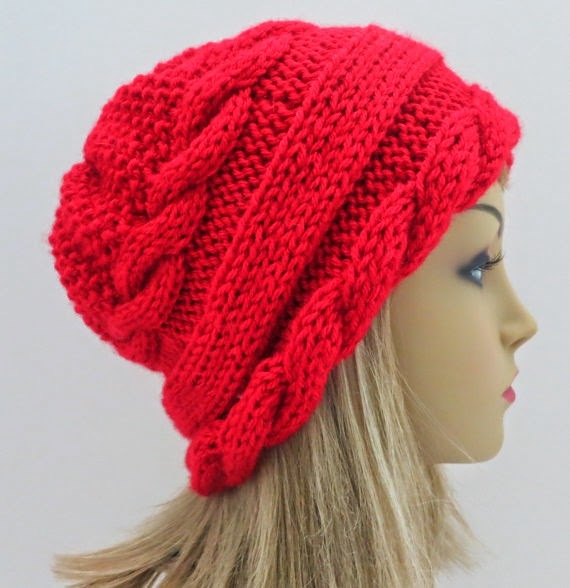 Knit with a cotton blend, it would be a cute summer hat. So, go check out the pattern here and send me photos of your finished project. I'd love to see them! It was pointed out (thanks, Kate!) that I forgot to include the fiber content in my post about my newest Pi shawl. It's 100% superwash merino wool. What does that mean? Well, the wool comes from a merino sheep and well, I have no idea how they make it 'superwash' but 'superwash' means that it won't felt & if you want to risk putting it in the washing machine, you can. The reason I say 'risk' the washing machine is because there always seems to be a crayon, a pen, a tube of lipstick, a pack of gum, a Tootsie Roll, a couple of screws and/or a wad of tissues hiding out in the washer whenever I wash something important. But, if you don't have that problem at your house, you can machine wash your superwash knits. 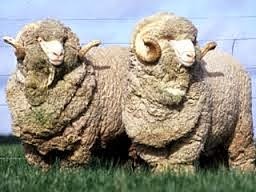 So, what is a merino sheep, you ask? Momma and her baby. Adorable right? 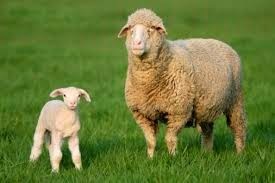 The proud pappa sheep look rather fierce & protective. Well, happy Sunday. I'm off to knit a hat, a few rounds on the Pi shawl and maybe even venture outside. The sun is finally shining & it's supposed to be over 50 degrees today. Yay, spring! At our house the washing machine decides to release that last little drop of bleach from three loads ago only when I am washing something important. I have a lot of beautiful and expensive gardening and work-out shirts because of that! LOL. Sorry about laughing, but yeah, that too.